Nik – Steep Point, Karijini National Park, Francois Peron National Park, Gibb River Road and Esperance. Bec- Karijini National Park, Ningaloo, The Gibb River Road, Margaret River and Broome for the life saving carnival. Zoe- Ningaloo, The Gibb River Road, Margaret River, Lucky Bay National Park and Steep Point. Abby- Karajini National Park, The Gibb River Road, Margaret River, Esperance and Steep Point. 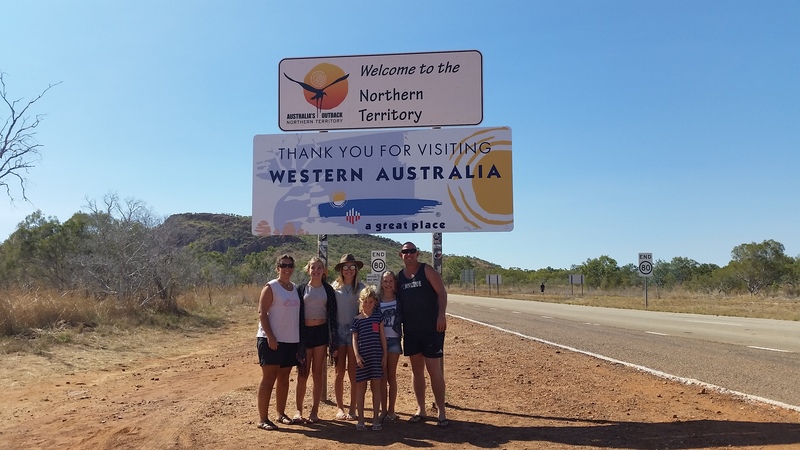 Jess- Ningaloo, The Gibb River Road, Lake Argyle, Karajini National Park and Red Dog at Dampier. The scenery and places of WA have been more than we could have imagined, however we are a bit wary now as we think it will take a lot for mother nature to impress us anymore, as what she has created in WA is beyond spectacular. We have also met some fantastic, warm and friendly people who have also made our stay enjoyable. Whilst we all believe the scenery is what impressed us the most, a lot of our top 5’s were made all the more special because of the people we spent time with, my Mum and her sisters Rob, Peta and Carol and their respective other halves and families down in Mandurah, having coffee with the Cullen/Berrimans in Lucky Bay down in Esperance, the Leeds for the top half of WA and especially The Gibb River Road, the Mol’s in the Pilbara, the Fredin’s in Karratha and finally the McClymonts, the McFarlanes, the McAuleys and Nan and GP (Niks parents) in Broome. As well as all the other travelling families and people we have crossed paths with as we made our way through the state. The Northern Territory welcomes us back!!! Good to hear you enjoyed our state!